Conference participants. Photo: Anne Sunder-Plassmann. 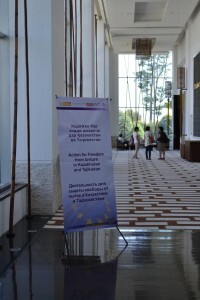 Sixty NGO representatives from the Coalitions against Torture in Kazakhstan, Kyrgyzstan and Tajikistan as well as international human rights groups and representatives from other countries of the former Soviet Union have gathered in Dushanbe, Tajikistan, to discuss the role of civil society institutions in the prevention of torture. Conference venue, Dushanbe. Photo: Anne Sunder-Plassmann. 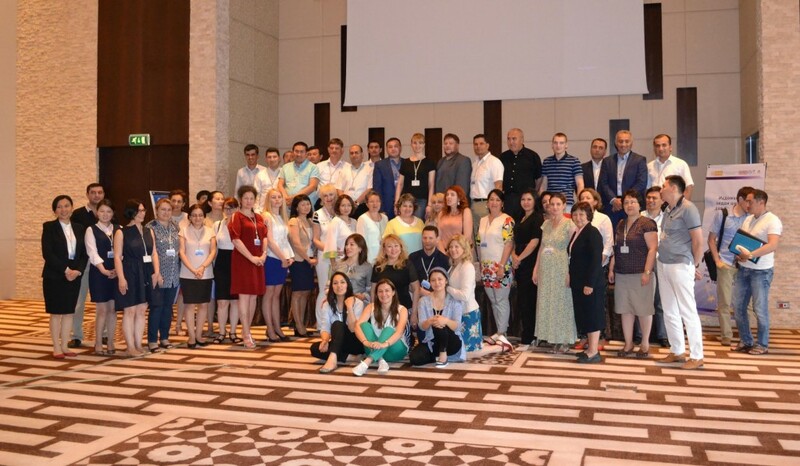 The conference that is being held from 31 May to 2 June 2016 has been organized by the NGO Coalition against Torture in Tajikistan, in the framework of the EU funded project “Action for Freedom from Torture in Kazakhstan and Tajikistan”. 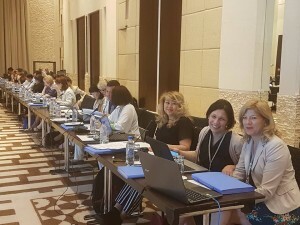 The project is implemented jointly by the human rights groups Helsinki Foundation for Human Rights (Poland), International Partnership for Human Rights (Belgium), Kazakhstan International Bureau for Human Rights and Rule of Law and Nota Bene (Tajikistan). Among the speakers are Margus Solnson, EU Charge d’affaires a.i. in Tajikistan, and Ambassador Markus Mueller, Head of the OSCE Office in Tajikistan (with opening speaches); well-known Tajikistani political analyst Parviz Mullodzhanov (with an analysis of the political, economical and social processes which influence the development of civil society in Central Asia); and Ukrainian psychologist Elena Volochay (on the topic of compensation processes for victims of torture). Roza Akylbekova, Tatiana Chernobil and Brigitte Dufour at plenary session. Photo: Diana Berezovskaya. Conference participants also discuss the achievements in the fight against torture in Central Asia as well as strategies for overcoming the remaining challenges, including the establishment of independent investigation mechanisms into allegations of torture, legal assistance and strategic litigation.